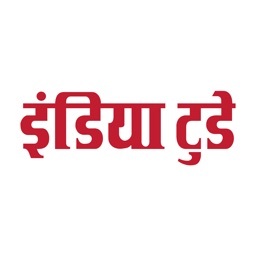 India today TV English News by Living Media India Ltd.
by Living Media India Ltd.
with latest news stories, videos and photos. 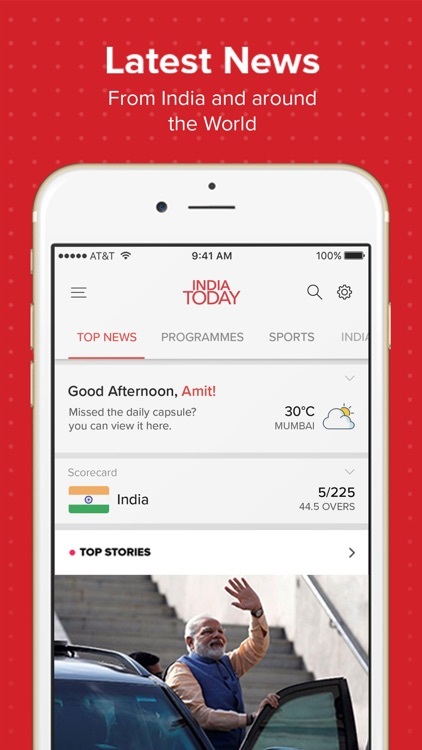 Get upto-the-minute breaking news alerts, India Today TV shows, exclusive interviews and in-depth coverage on your device. 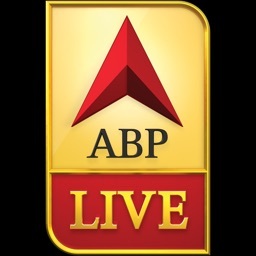 Live TV: Watch news as it happens! 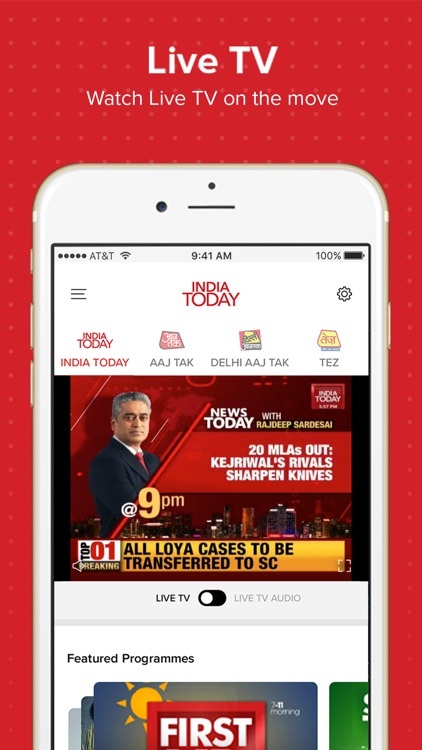 Catch the live coverage of all breaking news, business and Bollywood news on India Today TV right on your mobile device. 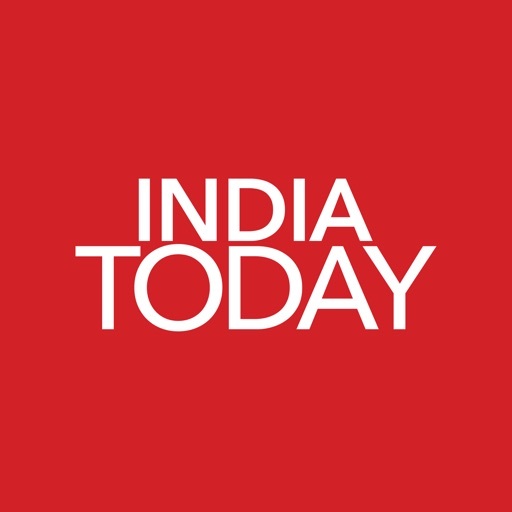 India Today TV Shows: You can watch your favorite India today TV shows like News Today with Rajdeep Sardesai, Newroom with Rahul Kanwal and the Karan Thapar show on the move live or at the time you choose. So Sorry: TV Today's multiple award-winning a animated political toon series. 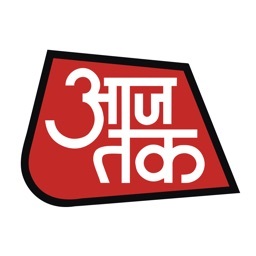 Watch India's first politoons. They are hilarious. Find all the latest So Sorry videos here. 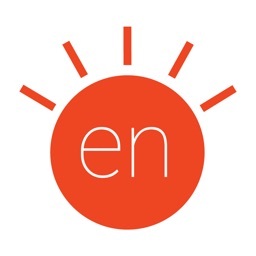 Bookmark a story: Did a news story catch your interest? 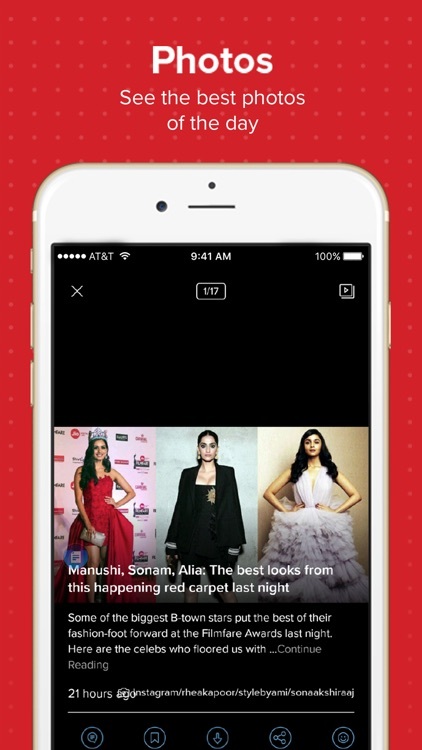 Just add it to your favorites and read it later in an offline mode. Customize Notifications: Control the time and the number of breaking news notifications you wish to receive. Offline Mode :You can read all the news in offline mode. 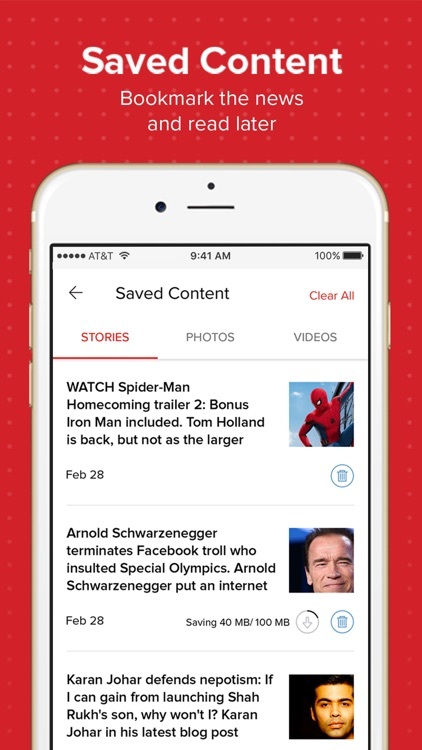 Just save a story as a bookmark and read the news later, even without internet coverage. 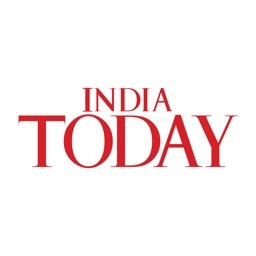 India Today Magazine: Read all the stories from the iconic India Today magazine, the weekly that set the gold standard in journalism in India. 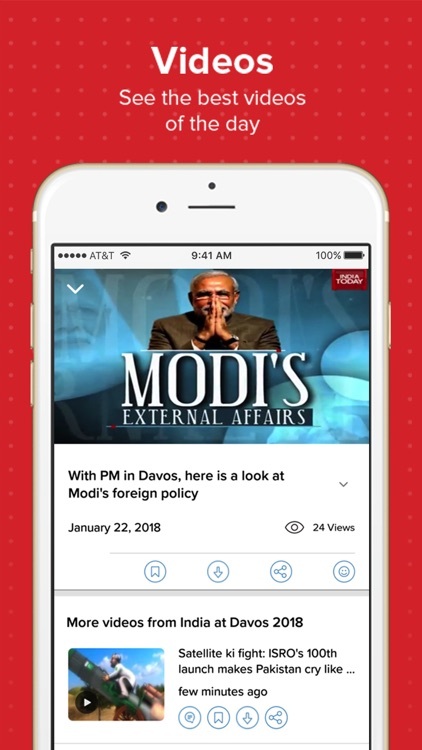 Trending Stories : Now watch trending stories, news and analysis from the world of Politics, Technology, Bollywood, Sports and much more. Photo Galleries: See the trending and best photos of the day from our photo gallery of famous Bollywood stars, athletes, industrialists and politicians. 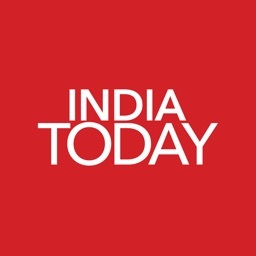 Exhaustive News Coverage : India Today app brings together an extensive coverage of news from India and around the world compiled by top reporters from the India Today Group's large network.